When we heard that our equipment had fallen into the lake along with most of the ice front we planned a “rescue mission” to recover the gear. 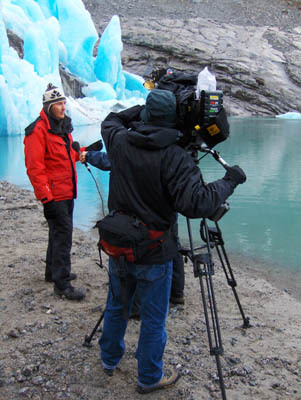 A BBC News film crew came with us to follow our story and see what it said about global warming. They were a hardy and jolly group – following us up the snowy hairpin track and wandering about in the snow with their heavy gear until the sun set. 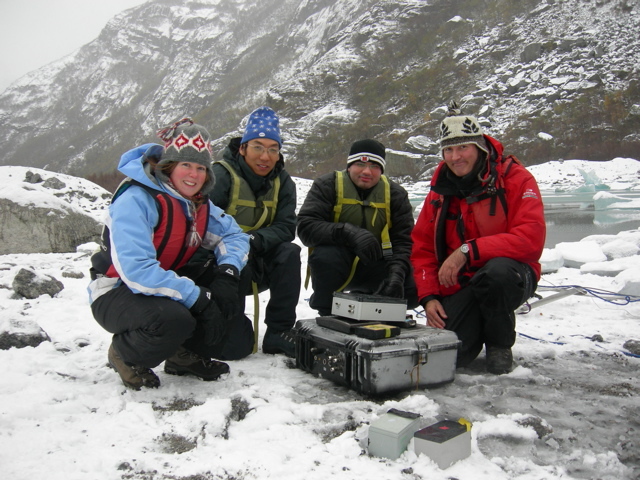 Although the base station had fallen into the lake attached to a huge section of ice (it was attached to) it was 400m along the lake when we found it. 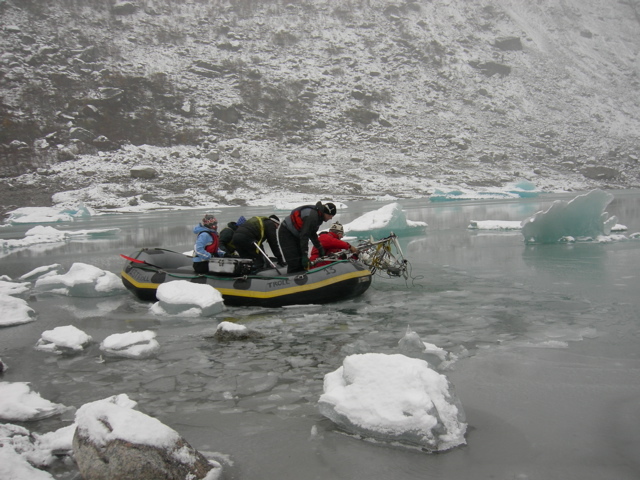 We used a climber’s boat to pull it out of the lake, which was starting to freeze, so we had to push against small icebergs to move the boat along. The ripping off of cables had damaged a few connectors on the pilican case so water had managed to get in. Amazingly the compact flash card in the Bitsy computer was intact (after a night over the log fire! ), as was the Topcon GPS.